The Public Health Intern will explore a range of public health career opportunities, participate in indigenous methodologies training, and gain knowledge that is aligned with UIHI values of using western science to complement indigenous knowledge systems. The Public Health Intern will work under the close mentorship of a UIHI staff member. Intern projects will be based off current UIHI needs but generally will be related to our focus areas of disease surveillance, HIV/HepC, suicide and substance mis-use prevention, diabetes, and chronic disease prevention. The Rocky Mountain Tribal Leaders Council, Epidemiology Center (RMTEC) has been working with the IHS Billings Area Office to implement an evidence-based program entitled A Matter of Balance, as a part of Elderly Fall Prevention. A Matter of Balance program includes both an education and exercise component and is designed to reduce the fear of falling and increase the activity levels of older adults who have concerns about falls. In November 2018, an employee from each office attended a training to become A Matter of Balance Master Trainers. As Master Trainers, their role is to train volunteer coaches in the Tribal communities, who will then go on to facilitate A Matter of Balance classes in their communities. Recently, the Master Trainers held their first coach training, and six volunteers became certified as A Matter of Balance Coaches. These coaches plan to start their classes in late spring or early summer. 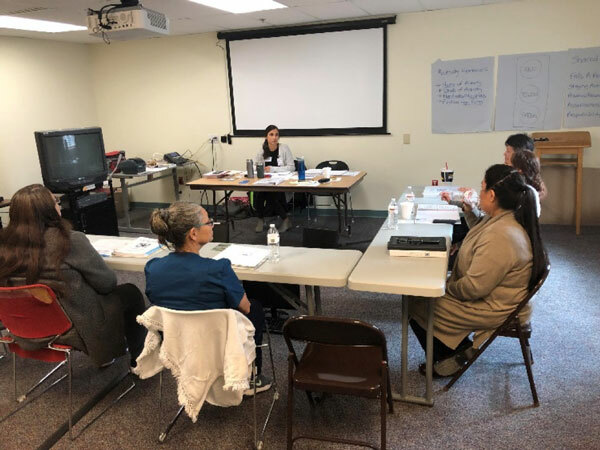 The Master Trainers are excited to train more volunteers in the other Tribal communities and plan to have A Matter of Balance Coaches trained in each site by the end of summer 2019. Kaylee Vandjelovic, Public Health Specialist at RMTEC and one of the Master Trainers, discussing A Matter of Balance program during the coach training. The six new volunteer coaches with the Master Trainers, after completing the two-day training and earning their certificates. 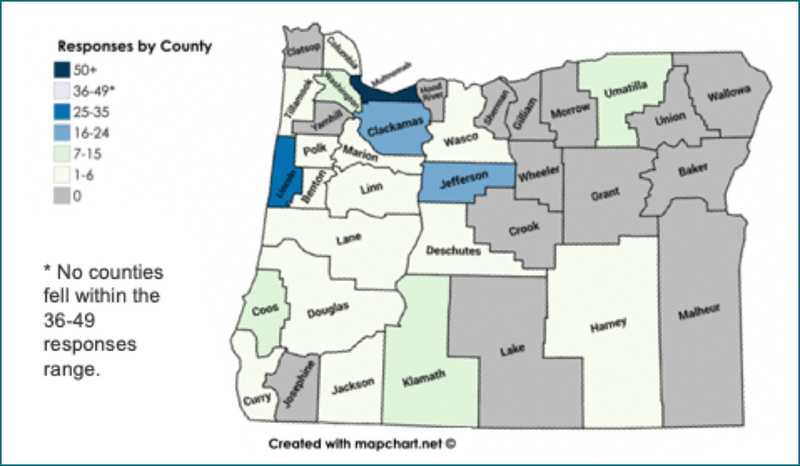 The Northwest Tribal Epidemiology Center (NWTEC) partnered with the Oregon Health Authority (OHA) to gather input on top health issues that are most important to American Indian/Alaska Native residents of Oregon. Feedback from residents helped informed a community-based steering committee at OHA pick the top five priorities in February 2019 for Oregon’s 2020-2024 State Health Improvement Plan (SHIP). 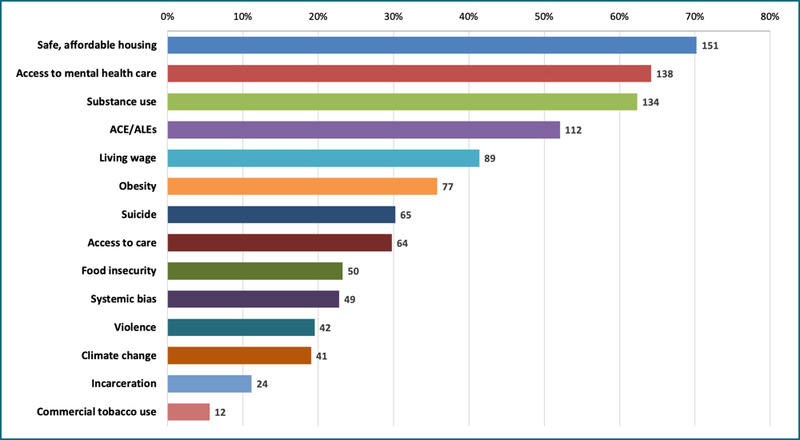 A total of 215 survey responses were collected in a two-month period, which provided an oversampling of AI/AN residents when combined with responses to a similar survey created by OHA. Since AI/AN people were underrepresented in the community input that OHA used to write the current health plan (2015-2019 SHIP), targeted outreach by NWTEC and community participation helped insure that Native voices were clearly heard during the planning process. If you have any questions or would like more information about NWTEC or Oregon’s SHIP process, please contact Taylor Ellis at tellis@npaihb.org. 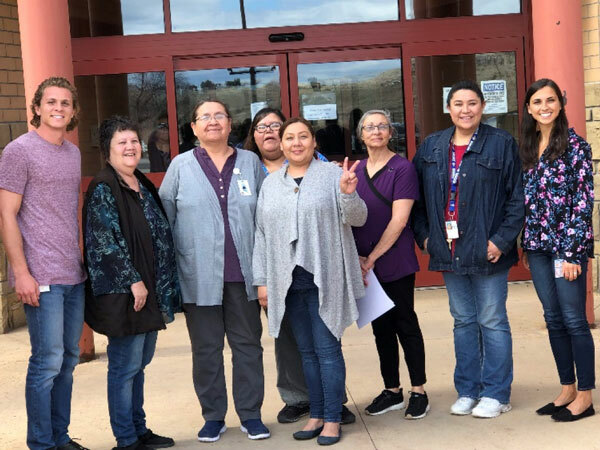 In May 2018, the Albuquerque Area Southwest Tribal Epidemiology Center (AASTEC) launched the Tribal Pregnancy Risk Assessment Monitoring System (PRAMS) – a new tribal public health surveillance system designed to learn more about the experiences, attitudes and behaviors of new American Indian/Alaska Native (AI/AN) mothers before, during, and after their pregnancy. Key topics on the survey include prenatal and preconception care, breastfeeding, substance use, stress and stressors, health insurance coverage, and infant health care and safety. 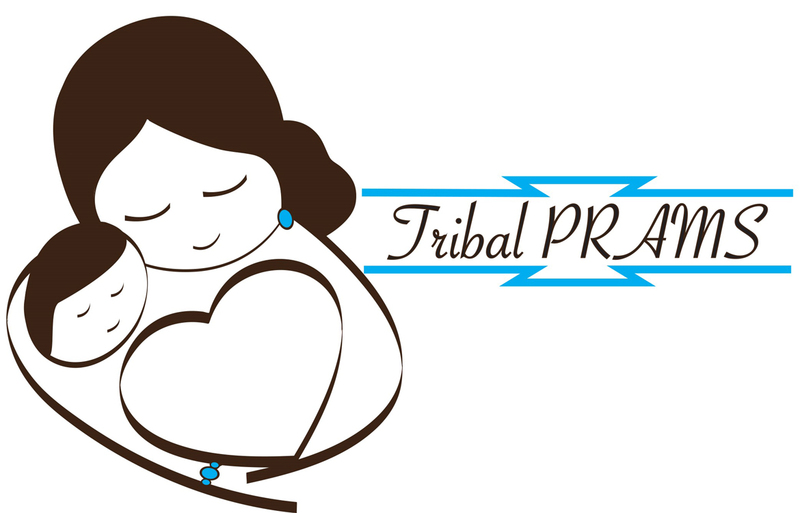 Tribal PRAMS is a collaboration between AASTEC, the Navajo Tribal Epidemiology Center, and the New Mexico Department of Health. The survey is complimentary to the existing New Mexico PRAMS, where the majority of new AI/AN mothers not selected for participation in this state-sponsored surveillance system, are invited to participate in Tribal PRAMS. The survey instrument consists of Centers for Disease Control and Prevention PRAMS core survey questions, the NM-state specific PRAMS questions, and a Tribal addendum, which includes questions about breastfeeding, injury prevention, language, and cultural activities. Survey administration is multimodal, where participants can complete the survey by mail, online, or telephone. 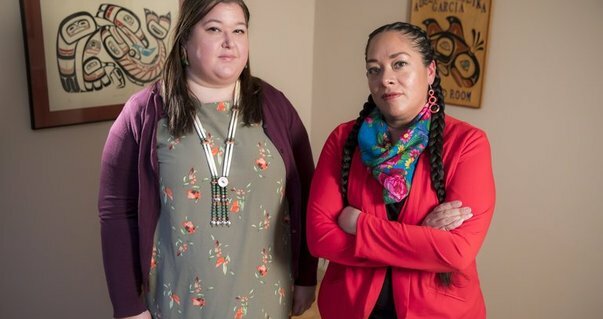 In November 2018, Urban Indian Health Institute (UIHI), a division of Seattle Indian Health Board, released the Missing and Murdered Indigenous Women and Girls (MMIWG) report. This snapshot of data from 71 U.S. cities identified 506 cases of MMIWG and detailed significant challenges in collecting data on the total number of missing or murdered American Indians and Alaska Natives residing in off-reservation areas and outside rural villages. UIHI intends to provide the report as a resource for urban Indian organizations, tribal governments, and legislators. – Abigail Echo-Hawk, Director of UIHI and co-author of the report. Annita Lucchesi (Southern Cheyenne descendant), doctoral student and creator of an extensive MMIWG database, co-authored the report with Echo-Hawk. In the course of her research, Lucchesi found some significant issues: a lack of available data on urban Indians, the need for non-tribal law enforcement agencies to coordinate with tribal nations regarding their members and to share data on MMIWG, the racial misclassification of these cases, and inadequate funding for research on violence against urban American Indian and Alaska Native women and girls. The report has been circulated by major local, national, and international media outlets including The New York Times, The Washington Post, NPR (National), CBC News, The Seattle Times, KUOW, and King 5 News. The communications team shared the report and related information on social media which increased engagement exponentially—it reached over 400,000 people and helped UIHI’s follower base grow by over 2,000 across all social media channels. This report has also been shared by U.S. Senator Lisa Murkowski (R-AK), U.S. Senator Heidi Heitkamp (D-ND), and Juana Majel-Dixon (Pauma Band of Mission Indians), Executive Board Member and Recording Secretary of the National Congress of American Indians (NCAI) in a press event in Washington, D.C. The researchers also note that Urban Indian organizations need this information to better inform programming and to advocate for change. They also note that this issue is more than just data. For more information and to view the report, visit the UIHI website.